This course is brought to you by a GPA approved trainer. Diane Leonard, GPC is one of only 15 GPA approved trainers. “How to Successfully Tell Your Story in Your Grant Application” will teach you how to craft a compelling story in your grant application using all required elements of the grant application. From the abstract to the budget and all narrative elements in between, we will walk through how to create a consistent and competitive story. Storytelling is not only a key to successful fundraising efforts with individual donors. Storytelling is also a key element for successful grant writing. While some grant applications lend themselves to a major donor style storytelling approach, every government grant application also tells a story to the reviewer scoring your application. In “How to Successfully Tell Your Story in Your Grant Application” we will address the differences in how to tell your story for foundation grant applications versus in government grant applications. Competitive grants draw the reviewer into the need and the proposed program or project and engage them in such a way that they are compelled to advocate for the proposal. In “How to Successfully Tell Your Story in Your Grant Application” we will walk through the ways to include storytelling elements like client success stories into your grant proposals to strengthen the story your application tells. 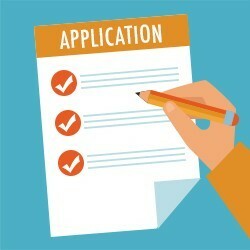 ● How to tell your organization’s story in character counted choppy online applications. 1. A storytelling checklist for foundation grants. 2. A storytelling checklist for government grants. Diane H. Leonard, GPC is a Grant Professional Certified (GPC) and Approved Trainer for the Grant Professionals Association. Diane has personally secured more than $51.1 million dollars since founding DH Leonard Consulting & Grant Writing Services in 2006 in competitive grant funds for its clients. When not working on grant applications for the federal government, state and local governments, and private foundations, Diane can be found in the 1000 Islands, out for a run, or drinking a strong cup of coffee.